We’re in month 5 of our “Year of Feasting”. 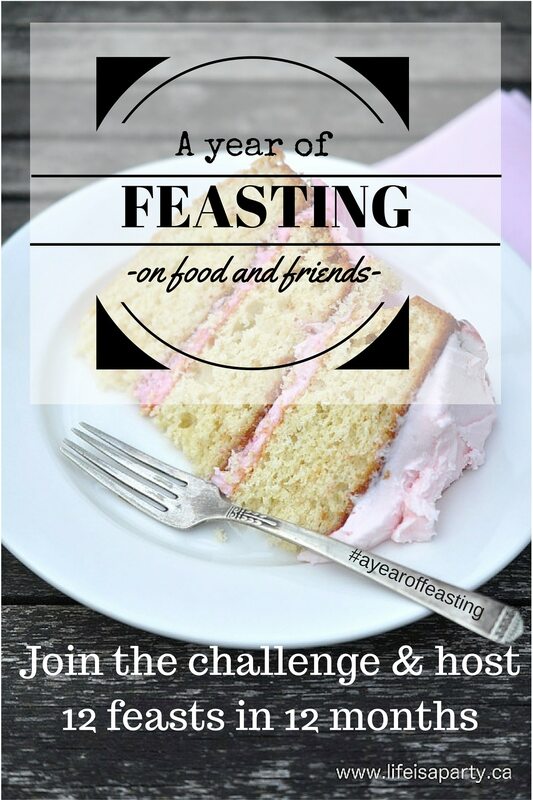 The challenge, to host 12 feasts in 12 months, has been a lot of fun. It’s forced us to be intentional about seeing friends, old and new. It’s been a lot of fun having a party every month. And we’ve found ways to make sure it didn’t break the bank, like using a lot of what we already had, planning the menu according to what’s in season and on-sale, and asking friends to contribute with a dish sometimes. I have to say it’s brought us a lot of joy, and been an excuse to reconnect with a few people. This month looked a little bit different than previous months. It was a much bigger party, in a way. And it’s got me thinking about hospitality and the gift of making people feel welcome and preparing a special place for them. I am on the planning committee of my church’s women’s getaway team. 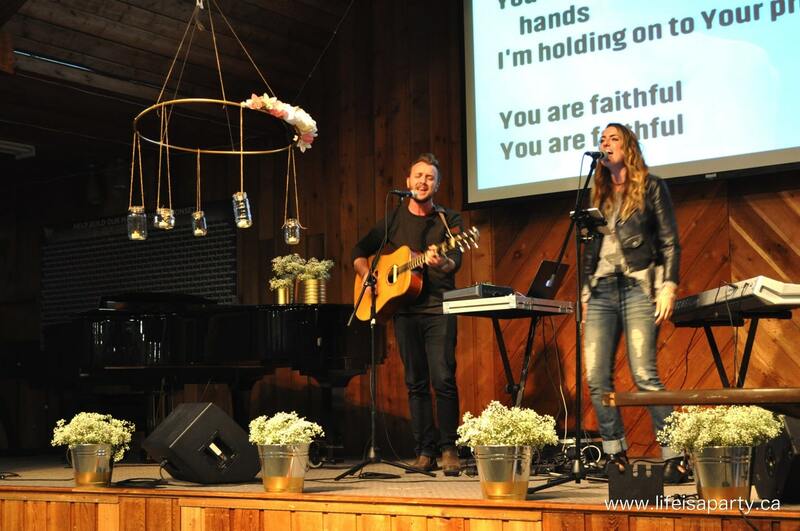 Every year we plan a weekend away at a conference centre outside of the city to be together, and reconnect with God, and as a community. The committee itself is a lot of work, but truly a lot of fun. Working with other women to put together an event like this really is a privilege, and seeing our hard work pay off with a great event makes it all worth while. We start planning about 6 months in advance to make the event happen. This year I was in charge of decor. I know it might seem a little trite, a little insignificant, a little church lady-ish but to me it’s a chance to be an atmosphere architect. I have found over the years that the best way to make people feel like you made a fuss over them, is to make a fuss over them. So we work with a tiny budget, but big ideas to try and create something really special. 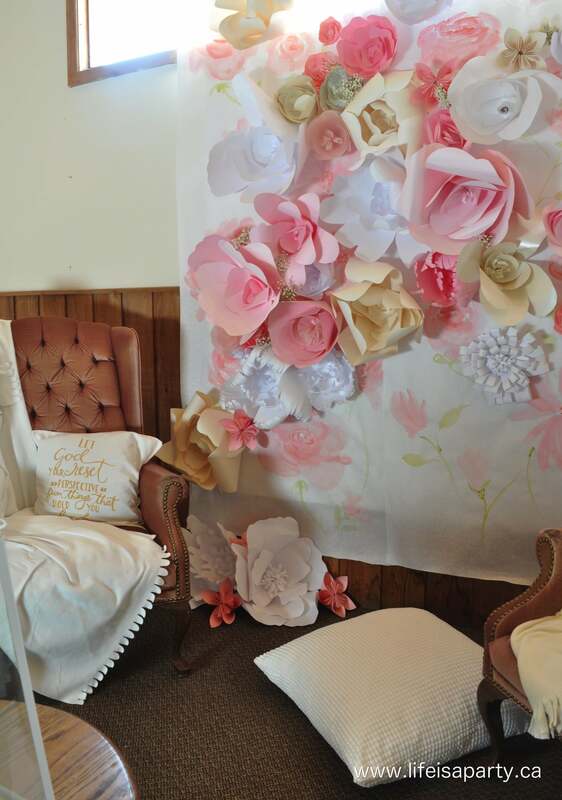 This year I had the privilege to work with Lucy from Craftberry Bush who attends the same church with me, to create the most amazing giant paper flower decorations. 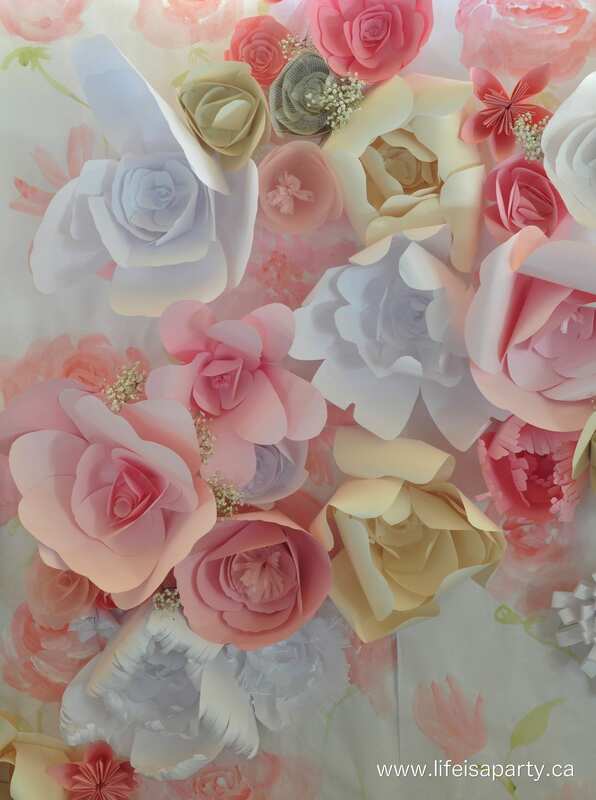 A few of us worked for days, and days making flowers from paper -you can see how to make them in the video tutorial I put together. They’re easy to make and inexpensive too, they just take a while. So for many an evening I sat at my dining room table with my glue gun and a cup of tea making flowers. It was truly a labour of love. And the results were better than I imagined. Our getaway space is big, and camp-y, and hard to make feel cozy, warm, and special. But I think we did it. 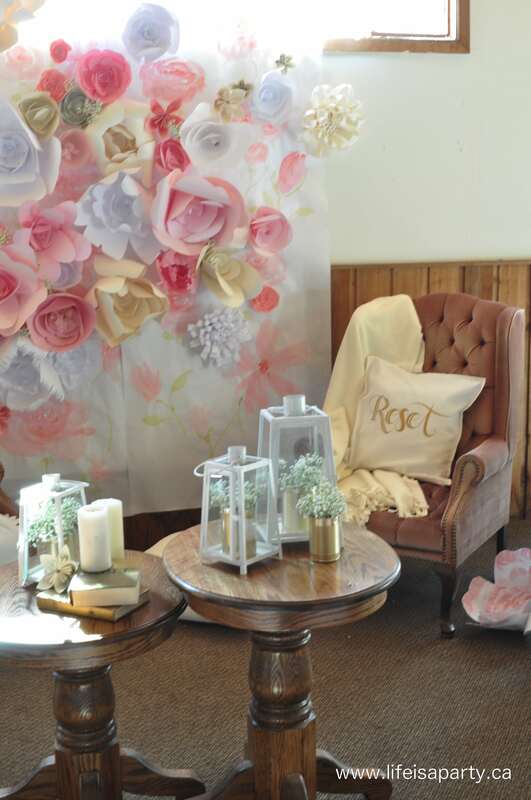 Lucy created the most amazing flower backdrop, with some of her amazing watercolor flowers, and our giant paper flowers. 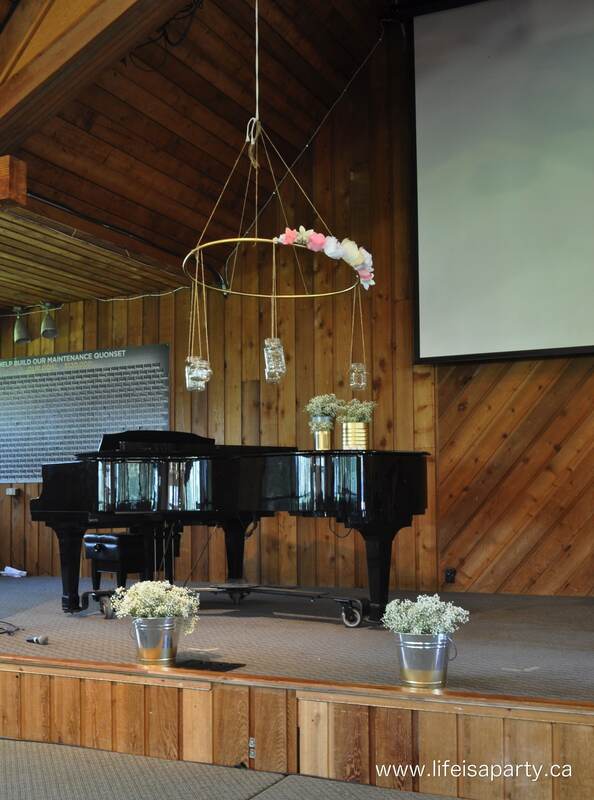 We added cushions and throws, and a coffee bar, and snack bar, and candles, and flowers, and all our love. In the end it was beautiful, but more than that it was welcoming, and hospitable, and special, and intentional. And since those are all of the values driving the Year of Feasting, I thought that sharing this experience with you would be a perfect fit. Because whether we’re hosting 100 women for the weekend, or our family, or a few friends, in many ways it comes from the same place. We want to open our homes, our hearts, our selves up and invite our loved ones in. We want to make room for them, to fuss over them a little, to go to the trouble of making them feel welcomed, and of making them feel loved. We are the atmosphere architects of our own homes. For the getaway we did a lot of prep and work, but it’s really the heart attitude that’s important, and the heart attitude is even more important than the pretty decor, or matching colour scheme, I promise. People can feel if you want them in your space -homes and hearts alike. Years ago, I was invited over for a party at someone’s house. It was potluck, everyone was asked to bring salads and desserts. The hosts provided the bbq. They served hotdogs -simple, cheap, easy to find hotdogs. There was no colour scheme, or decorations. We sat in the backyard and ate hotdogs and salads but it was such a great party. We connected with old and new friends, we felt so very welcomed, and loved. It was a life lesson for this girl. It’s great to go to lots of trouble and fuss over people, and create something truly special. But…hospitality is really more about your heart opening to others and welcoming them into your space, and into your life. 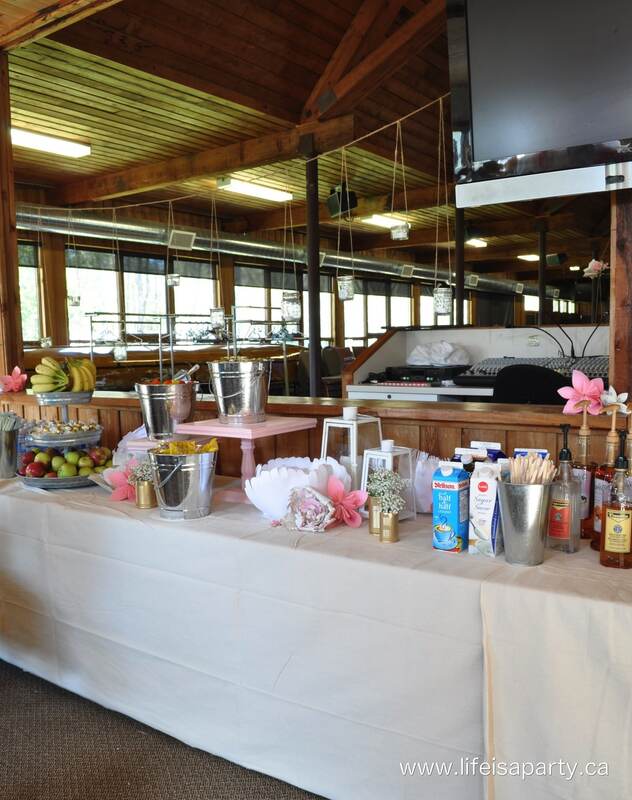 I think entertaining is one of my “things”…it might not be your thing. I’m not a soccer mom, I don’t love to read, I’m not amazingly organized. Perhaps you are? We all have different things we’re really good at. I get excited about tablescapes, and colour schemes, and menus. And maybe that’s not your thing. Cool. But, hospitality is a little bit different than entertaining. Hospitality is about a feeling, an attitude, a way of being. I think hospitality is about open doors, to our homes, to our lives, to our hearts. Hospitality is about inviting other’s in, and making them feel they are welcome. It puts your guests at ease, and makes them feel like you’re sincerely glad they are with you. I wonder if it’s a practice we can all work on? In fact, entertaining without hospitality is probably really missing the mark. So, I hope you’ll join in on the Year of Feasting with me -feasting on food and friends. What ever that looks like for you is just fine with me. You might be having a party a month like I am, or you might just be trying to be a little bit more intentional with hospitality. You might be doing a theme and a colour scheme, and a fancy menu, or you might be serving hotdogs. It’s all good, truly. It’s really more about opening up our homes and hearts to our journeying partners, the ones we do life with, about connecting, and encouraging, and sharing good times, and hard times. It’s about being together. With hospitable hearts, life really is a party!